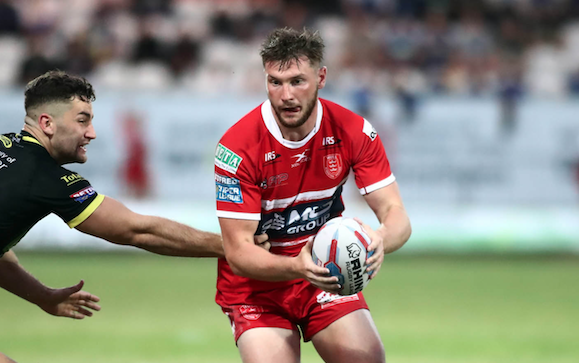 York have signed centre Liam Salter from Hull KR for the 2019 campaign. The 25-year-old came through the academy at Rovers and has been a regular member of their squad since making his debut in 2012, making 121 appearances for the Super League club. Salter will add utility value to the Knights, with him being comfortable playing in the back-row. On joining York, the former Myton Warriors junior said: “I’m really pleased to have signed for York. “The facilities here are absolutely fantastic, and James (Ford) & Jon (Flatman) really sold the well-respected culture and environment of the club to me. “They’re putting together a squad capable of competing well in a very strong league and I’m excited to be a part of that. Knights coach James Ford added: “I’m delighted to bring a person and player of Liam’s calibre to the club. “I’m confident Liam will be a huge influence on our younger players, both on and off the field. Liam will add strike to our edges and carries plenty of intensity in his contact. We’ll be looking to Liam to facilitate an increase in standards during our preparation, which will positively influence our performances. “The amazing support we’ve received throughout last season and the beginning of this has enabled us to pull off this signing – I would just like to thank the Squadbuilder for helping the club get this deal over the line.